Victorian Vintage Wedding Post Box Hire Nottingham, Derby and the East Midlands. Vintage victorian wedding post box hire Nottingham, Derby and the East Midlands. Our victorian post box is the perfect addition to any wedding and comes with a FREE personalised collection card. We offer the most beautiful Victorian post box for hire in Nottingham and the East Midlands. 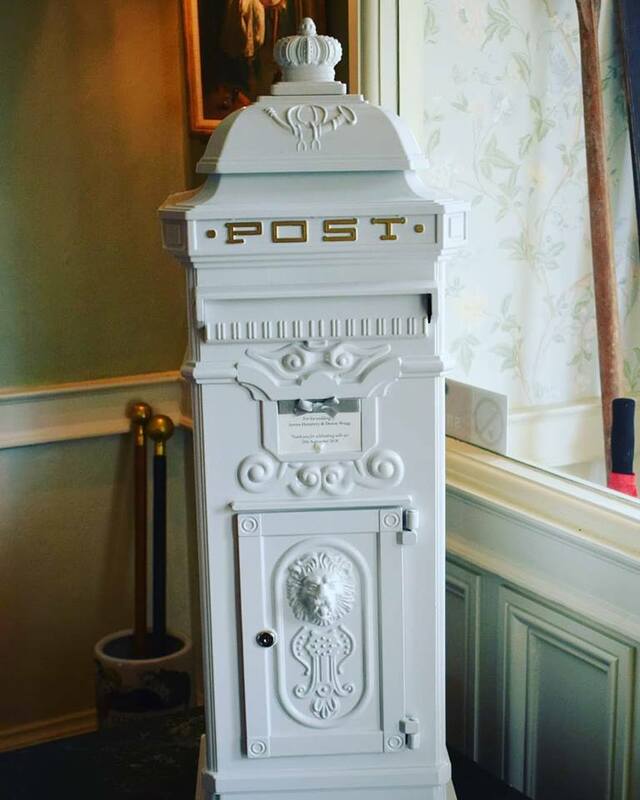 The vintage Victorian post box is a larger post box than our Royal Mail post box, perfect for storing both cards and gifts. You will be provided with two keys allowing you to collect the contents as you wish. This large Victorian post box has two compartments: the upper compartment collects any posted cards and the lower compartment stores gifts you have received. The post box includes a free personalised collection card which is yours to keep after the event. This card can be personalised to match your chosen colour scheme or style and written in your choice of words.